I originally finished the throw sized Sliced quilt way back in September! 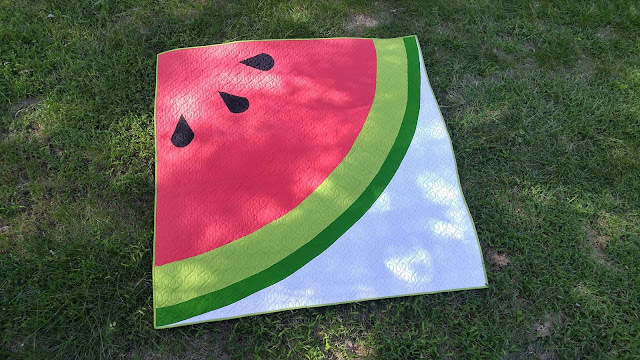 (Can you tell from the green grass photos??) So this has been one of many secret sewing projects that have been under wraps for a long time! I chose the large gingham Checkers Woven Basics in Cobalt by Cotton and Steel for the back. I love it! 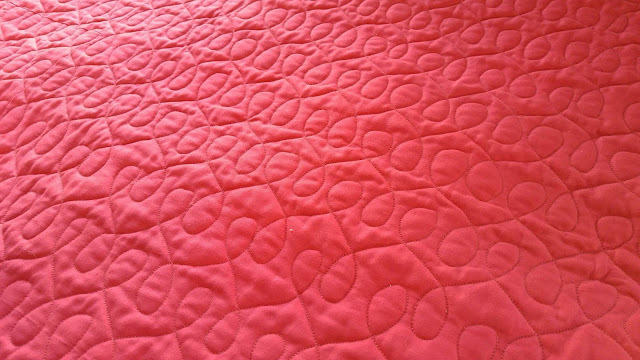 I also love the modern loops quilting that I got to do on my mom's longarm. I made the mini version using the same Kona solids as the throw quilt. The back is a small black and white gingham print. 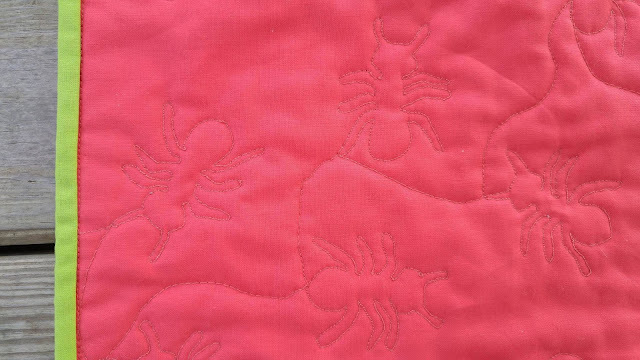 I decided to try a novelty quilting motif of ants for a playful twist. 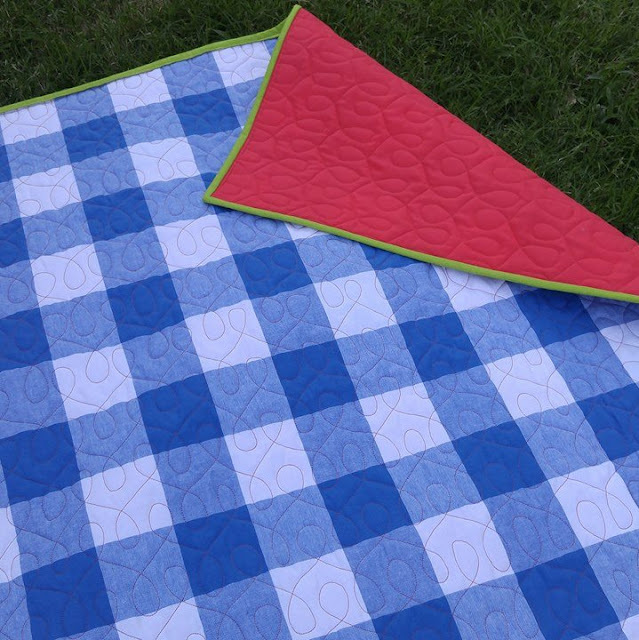 Sliced is the perfect picnic quilt! 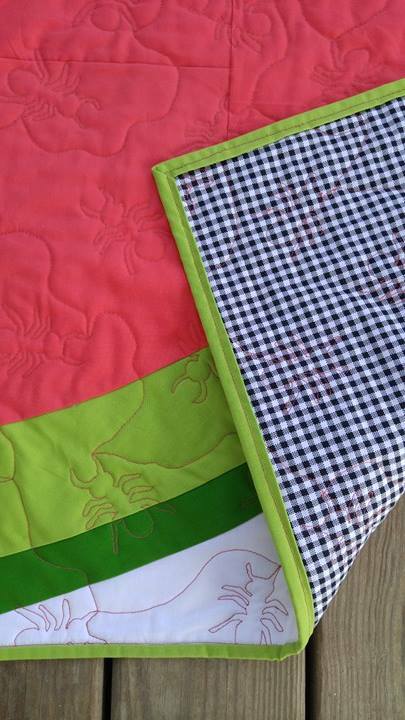 The mini version makes a great table topper for all your summer get-togethers! 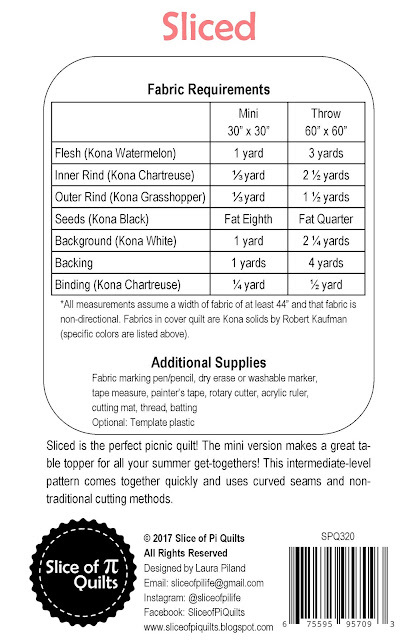 This intermediate-level pattern comes together quickly and uses curved seams and non-traditional cutting methods. 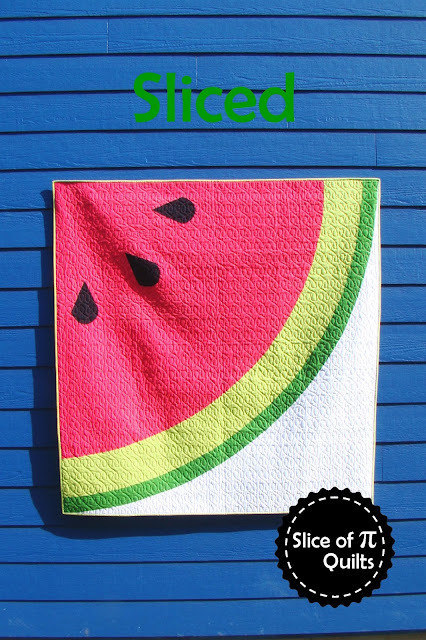 Like all my patterns, Sliced has detailed instructions and color diagrams to help you every step of the way. 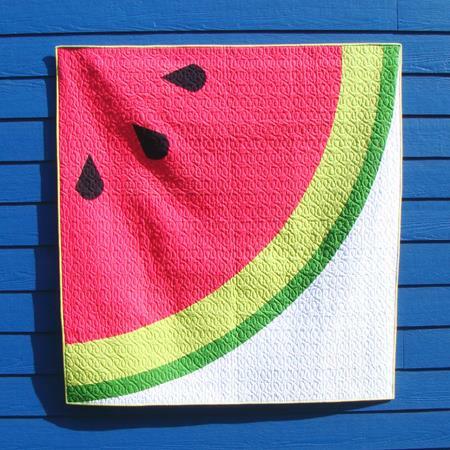 The pattern is currently available digitally in my Etsy shop and on Craftsy. Paper patterns will be coming later this month. 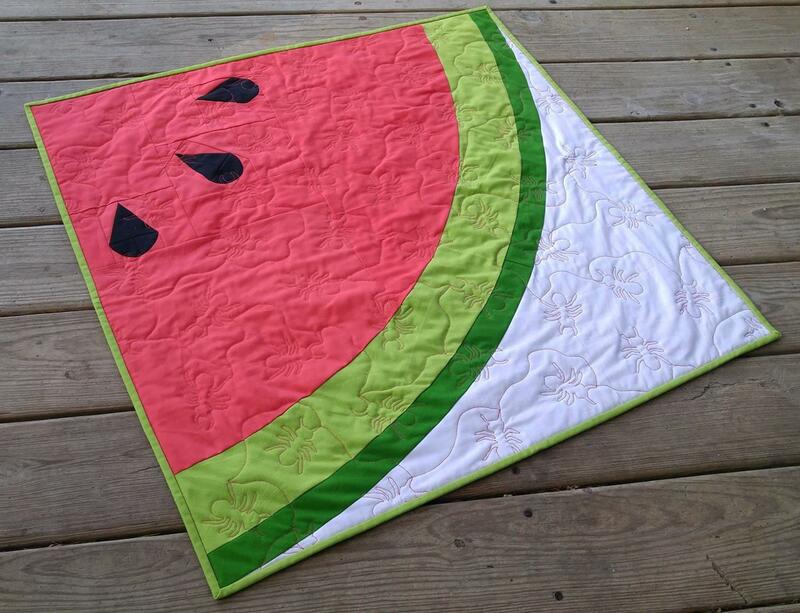 Linking up with TGIFF at Summer Lee Quilts and Finish It Up Friday at Crazy Mom Quilts. 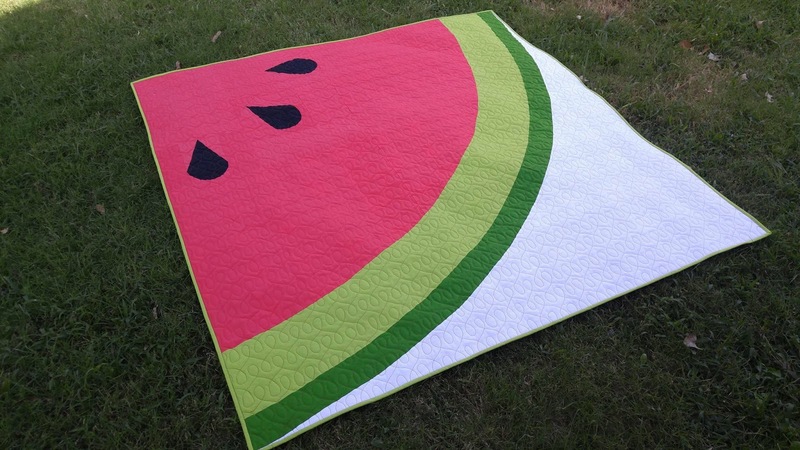 This is such a adorable picnic quilt. this "watermelon diva" loves it !!! I love this fun quilt!